Mar-26-2019 Katherine from The Mountain Thread Company in Blowing Rock. She hasn’t told us yet what she will be talking about, but they specialize in rope baskets. Apr-23-2019 Lee Chappell Monroe — She is from a long family of quilters and loves color and bold graphic shapes. 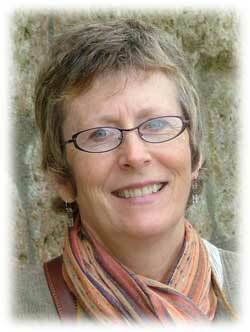 Her work has appeared in multiple publications, including Stitch, Quiltmaker & Modern Patchwork. Lee is also a BERNINA Ambassador and Craftsy instructor. Sat-Apr 27 Lee will be teaching her Clutch Purse class. More details to follow. May-28-2019 Deb Karasik — Master Paper Piecing quilter. She published her first book, ‘Quilt Mavens Perfect Paper Piecing’, with AQS. Jun-25-2019 Quilters Gallery will be with us to share their most popular program — “Show and Tell”. They will bring their current selection of quilts and quilt tops, usually about 50 or more. Wed- Jun 26 15 Degrees Workshop – 15 degrees is something a little different. It looks like curves, but everything is straight sewing. Cost of the workshop kit is $20.00 per student. Fee includes 15 degree ruler, (9″ Stack and Whack), fabric strips for two blocks and an e-pattern. We will cover the basic technique and demo other wedge rulers – from miniature blocks to a 48″ centerpiece. Jul-23-2019 POTLUCK — Susan Owenby from the Bored Zombie will speak after dinner. February 28 — February is Scrappy Quilts starring Rene Crowder! 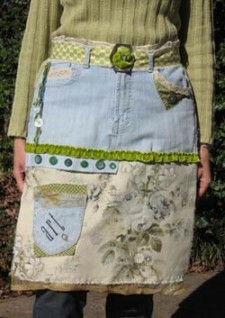 She will discuss what defines “scraps worth saving,” and how to compile, store, and turn them into a wonderful quilt. March 28 — Square in a Square. 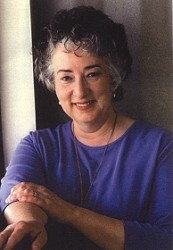 Gloria Stickney (Sew Fabulous Quilts, Inc.) will present a program on Square in a Square technique. The workshop will be on Saturday, April 1, where we will make a block. April 25 — Calming the Chaos. 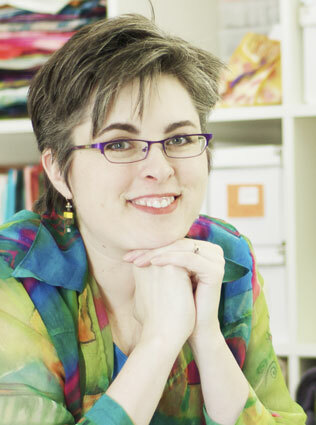 Lisa Alley, quilt maker, judge, pattern designer, lecturer from Winston-Salem, is going to speak to us on organizing our sewing space. So come prepared with questions on how you can reclaim your studio! Check out her website at http://www.bearhugquiltworks.com/. May 23 — Modern Applique. Kathleen Baden has taught quilting for 20 years, dove into the modern movement about 5 years ago and she is going to present a trunk show on Modern Applique in addition to doing our workshop on Wed. May 24th – modern hand applique and hand quilting. Check out Kathleen’s website, https://kbquilts.com/ to see the latest of her student’s work and gallery photos. June 27 — Pineapple Fabrics. Pineapple Fabrics will be coming to enlighten us on their path from mainly industrial textiles into retail with a huge focus on quilting and home décor. I’m sure there will be lots of samples, choice fabric lines and ideas galore presented. July 25 — Potluck summer fun! Oct 24 — “Granny, Grandma and Me, the Journey of 3 Generations of Quilters” by Margaret Caughman and Jennifer Kay. Oct 25 — Workshop using Martha Mitchell tools. May Quilting Panel- board members Jean Cable/Cindy Bergmeyer? Joyce? FEBRUARY– February 26th Susan Edmondson – lecture on “Creativity in your Quilting” and All her tricks on mixed media and embellishments. AUGUST –August 27th Quilt Show Celebration Light Supper at 6:30. There will be a brief business meeting to begin at 6:30. Program: Overview of quilt show, Donation Quilt Drawing, Project Linus Quilt Drawing, Goodie Basket Drawing, Member Prize Drawings. Show and Tell this evening will be all winners from the quilt show. This is designed to give you an opportunity to learn or master one or two new techniques. Some of these you will be able to use on any quilt that you have in progress for our quilt show. This will be great for beginners or even if you have been quilting for years. 1. Mitred Corners with Judy Whitehead – This technique is used on a border and makes it look like a picture frame. It is great to use this technique with striped fabric. 2. Free-motion quilting with Kathy Johansen — We know what we are supposed to do but how many of us can successfully accomplish it? Kathy will actually watch what you are doing and critique your style and assist you so that you can be more successful. 3. 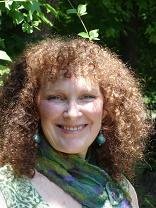 Couching with DeLane Rosenau — This maybe a new technique to you or one you have never tried. DeLane will show you how your quilts can take on another totally different look using this technique. She will explain what it is, what items to use, and how to do it. 4. Facings with Grace Howes — Facings are an alternative way to finish a quilt. 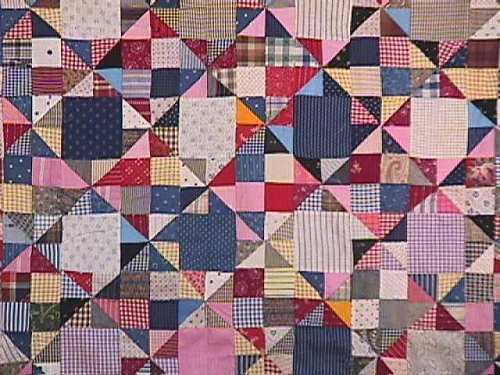 Facings can be used to finish a traditional 4-sided quilt or you can use it to finish an irregularly shaped quilt. 5. Zig-zag finish with Liz McNabb – This is another technique to finish a smaller quilt, and will give you a good tight zigzag finish. Liz will teach Judy Whitehead’s technique as she can’t teach two classes at once. Meeting: Tuesday, Jan. 25 at 7 p.m.
Workshop: Saturday, Feb. 5 from 9 a.m. to 4 p.m.
For $10, you may purchase a kit that includes the use of paint during the workshop, brushes, and fabric. This fee is payable to Susan the day of the workshop. Meeting: Tuesday, Feb. 22 at 7 p.m.
Meeting: Tuesday, March 22 at 7 p.m.
Workshop: Saturday, March 26 from 9 a.m. to 4 p.m.
Meeting: Tuesday, April 26 at 7 p.m. Sailing On A Summer Breeze. Quilt Show 2011. We will discuss, answer questions, and explain all aspects of our June 2011 show. Meeting: Tuesday, May 24 at 7 p.m.
Workshop: Monday, June 27 from 9 a.m. to 4 p.m. This is a traditional design and easy enough for a beginner. It is beautiful. Meeting: Tuesday, June 28 at 7 p.m.
Meeting: Tuesday, July 26 at 7 p.m.
Workshop: Wednesday, July 27 from 9 a.m. to 4 p.m.
Meeting: Tuesday, Aug. 23 at 7 p.m.
Workshop: Saturday, October 1 from 9 a.m. to 4 p.m.
We will be making buttons out of clay and then glazing them. Meeting: Tuesday, Sept. 27 at 7 p.m.
September 17, 2011 9am-noon. Chose just one class. Meeting: Tuesday, Oct.25 at 7 p.m.
Workshop: Saturday, October 29 from 9 a.m. to 4 p.m. This will be a guild challenge. Meeting: Tuesday, Nov. 15 at 7 p.m.
“R,S,& T.” This is our month for sharing reviews on patterns or books, suggestions and tips. Meeting: Tuesday, Dec. 20 at 7 p.m. I am trying to set my schedule for bthis year and had some notes regarding a demo. Do I have a demo scheduled with your guild in June? Please let me know. Thank you.